The faculty at PURE Yoga Institute is led by Mardy Chen (Principal) an OHYA Level 3 Teacher, who has been teaching since 2002 and a studio owner since 2003. Her husband and business partner, Jeff Chen (Dean) is an OHYA Level 2 Teacher and has been teaching since 2008. Together they own and operate five yoga studios in Austin and Dallas (www.PureYogaTexas.com) and have supported the Original Hot Yoga community through retreats, seminars, and yoga championships over the last 12+ years. In 2010 they formed PURE Action, Inc. (www.PureAction.org), a nonprofit organization dedicated to yoga research and education. 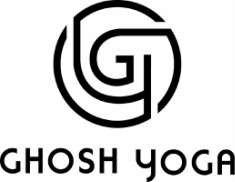 In 2015, Mardy and Jeff attended the Yoga Therapy training at Ghosh’s Yoga College in Calcutta, India, the birthplace of Original Hot Yoga. Afton Carraway (Assistant Principal) is an OHYA Level 2 Teacher and graduate of the Spring 2007 Bikram Yoga Teacher Training. Afton, a three-time USA Yoga National Asana Champion (www.usayoga.org) and self-proclaimed “asana-junkie,” has studied numerous styles of yoga and is responsible for Comparative Yoga Systems, Pregnancy Yoga modules, and Posture Clinics. Erin Frank (Assistant Principal) is an OHYA Level 2 Teacher and graduate of the Spring 2011 Bikram Yoga Teacher Training. Erin is enamored with the study of the human body and leads the Functional Anatomy and Physiology portion and Posture Clinics. Erin regularly leads beginning, intermediate, advanced and yoga therapy classes at PURE Yoga Texas’s Austin studios.